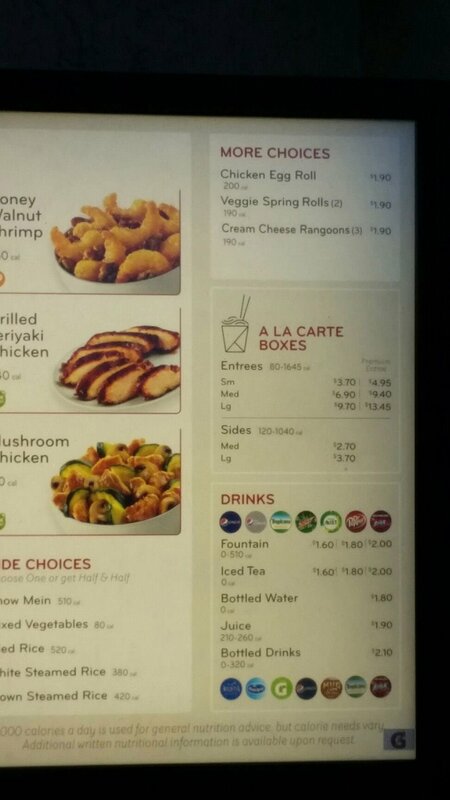 Here you will find the Panda Express® menu with prices. Panda Express serves up fresh and fast Chinese cuisine particularly suited to American tastes. 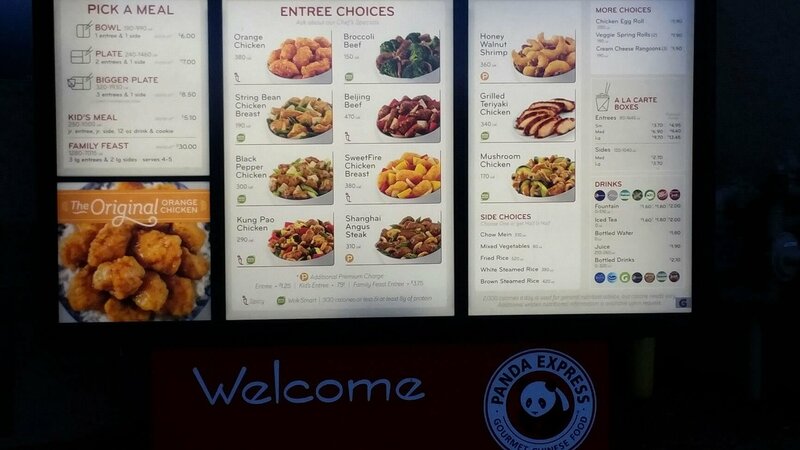 Menu favorites like Chicken Potstickers, Kung Pao Chicken and Broccoli Beef are always served fresh, fast and hot at Panda Express. You may find them at the food court in your local mall, or in stand-alone restaurants with drive through and pick up services. 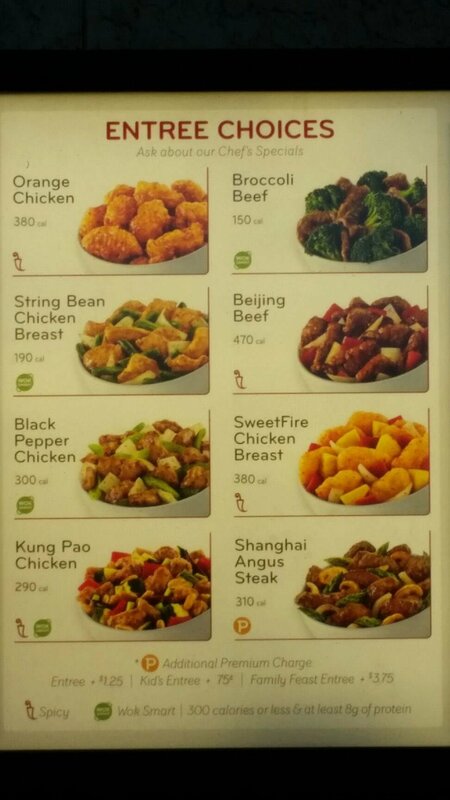 Panda Express also caters so they are a good choice for planning a party or event. They offer large family sized combinations so you can pick up dinner for a crowd in a hurry. Many locations also have a Tea Bar with sweet and tasty specialty drinks. Panda Express offers fast and convenient Chinese food. The menu focuses on American favorites with plenty of sweet and spicy dishes and customary sides like fried rice, steamed rice and chow mein. The menu offers beef, chicken, tofu and shrimp entrees, available in a variety of different sized platters to suit every appetite. Don’t miss out on the tasty appetizers to accompany your meal. In addition, many locations now have a Tea Bar with Asian-inspired specialty drinks made with fresh-squeezed juices and tea brewed on site with gourmet tea blends. This is a favorite appetizer that combines crispy, creamy, savory, and sweet all in one bite. Cream cheese and green onion filling fried to a crunchy bite inside a wonton wrapper. This snack or starter comes with three rangoons and sweet and sour sauce for dipping for just $1.90. This tasty dish is influenced by Sichuan style food from Central China. Marinated beef is battered and fried crisp then tossed in a spicy and sweet sauce and accompanied with bell peppers and onions. Have it in a bowl with a side of your choice for $6.00. This customer favorite features shrimp that is tempura battered and fried and then dressed in a sweet and tasty honey sauce then topped with glazed walnuts. This would pair nicely with Kung Pao Chicken and fried rice. You can combine any entrée with another entrée and a side on a Plate for $7.00. This dish starts with tender chunks of chicken breast that is seared in the wok with onion, peppers and pineapple creating a sweet and spicy combination inspired by Thai cuisine. If you combine this dish with two other entrees and two large sides you can feed 5 people with the Family Feast for $30.00. Andrew Cherng opened a Panda Inn restaurant with his father in 1973. He later married Peggy Cherng, who joined him in the business. In 1983 the first Panda Express opened in the Glendale Galleria shopping mall, and Panda Express has been expanding across the U.S. ever since. The first Panda Express restaurant that was independent of a mall or grocery store was opened in 1997 in Hesperia, California, and featured drive through service. By 2014, the chain was raking in $2 billion in global sales. As of 2015, there are over 1,700 locations in the United States, Guam, Mexico, Canada and Puerto Rico. The restaurants remain privately owned by the Cherng family. 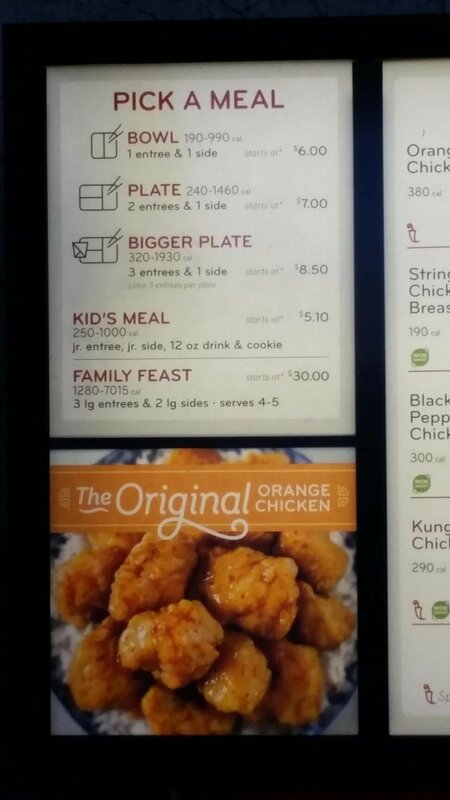 Panda Express menu prices are subject to change without prior notice. Prices shown in images & the following table should be seen as estimates, and you should always check with your restaurant before ordering. 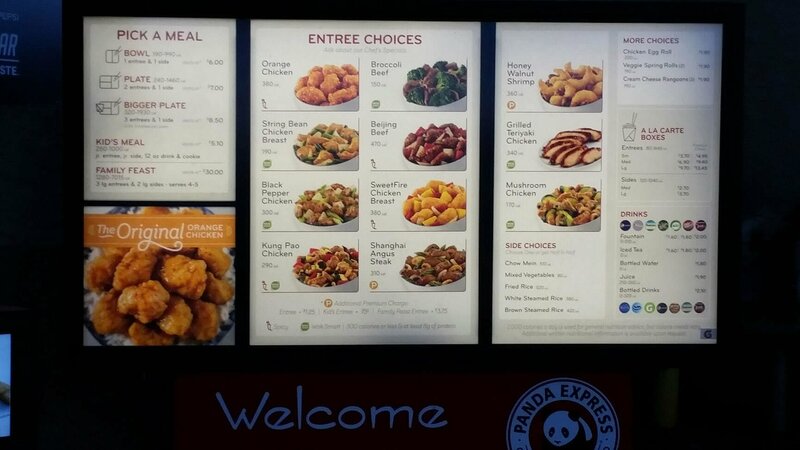 Panda Express menu images sourced via e-mail from restaurant customer & menu-price.net user. menu-price.net does not guarantee the pricing or availability of any menu items listed in image or table format on this page. Pricing may vary from location to location.